Trophy hunting is an expensive sport and small mistakes when booking with the wrong outfitters or safari operators can cost you a lot at the end of the day. Getting back to industry guidelines: Sure, there are certain websites and internet blogs where hunters post a short paragraph of there African experience during there hunts to Africa. These blogs are posted and only reveals the opinion of the specific hunter on his/her experience. Hunters are people with different needs, personality styles, experience, expectations and desires. What all hunters have in common when booking a safari is that they all like to know what they can expect before booking and paying for the safari. I guess you will all agree with me that their are many people that have gone on safaris where their expectations were not met and they were left with bad experiences. It is for this very reason that it is so important to be well informed prior to you making a commitment and paying a deposit. Cape to Cairo and its owners are passionate about making sure that all our hunting partners, friends and new customers have the ultimate experience when they book with us. We do not only want to meet our client’s expectations, but in fact exceed those expectations. There are a few questions you need to ask yourself before booking your safari. The “When? What? Where? How? Why?” questions needs to be asked and in that order. When? Make sure you have a date in mind when you start planning your safari. This way the safari operator can immediately let you know if he can accommodate you or not. There is nothing more frustrating than planning a safari and spending a lot of time doing it just to realize that you will not be able to make it because of other commitments. What would I like to hunt on my trip? (Which animals) Sometimes your wish list of trophy animals will not make sense to try and hunt on one safari due to logistics and habitat. Most safari operators do not have the ability, camps or concession areas to fulfill your wish list and therefore you might fall into a trap of paying a lot more for those specific trophy animals due to 3rd and 4th party involvement. Make sure you understand the hidden costs in safari “booking estimates”. This can also cost you dearly. Where will I be hunting? This is normally determined by the previous questions answer. If you know what you would like to hunt, you need to make sure you hunt those animals in there natural habitat to get the biggest trophy’s. With this said, it is a lot easier to determine which safari operator can actually accommodate your needs without driving/travelling 50% of your hunting time. In the event that you are booking through an agent, make sure he/she has hunted the areas and that they have experienced the service, accommodations etc. If they have not, they might be as surprised as you are when for some reason your expectations were not met. How will the hunt be conducted? Again, make sure you get details in the form of an itinerary that would explain to you exactly what you should expect. This should be a requirement before paying your deposit as you can always refer back to your itinerary if things go wrong during your hunt. Make sure that you know exactly how much driving is involved on your hunt and that you are prepared to deal with it. Make sure you are happy with the accommodations, food, beverage arrangements and other details. Ask for pictures in your itinerary. Why are you going on this hunt? Make sure you communicate your objectives and expectations clearly to your safari operator. Is it a family trip? Is the trophy size the most important thing? Is it important for you to have exclusivity in camp? Etc. Place Look at the quality of the hunting area you are about to book at. If the price is too low, you should know that the finer details are probibly lacking. A beautiful clean lodge with lots of pictures, tells you that the Safari Operator/ Outfitter is proud of what he has to offer. Pictures says a thousand words. Product You are a trophy hunter. Make sure that the animals you would like to harvest is found in its natural habitat. This will ensure good trophy sizes. Communication and Responsiveness Communication is everything. If you struggle to get a hold of your Safari Operater/Outfitter, you will have problems not only before but also after the hunt when you are waiting on your trophy mounts to reach the USA. No one wants questions unanswered. 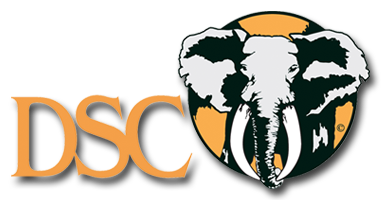 Price Usually a booking estimate for a Southern Africa Trophy Hunt consists of Day Fees, Other Fees and Trophy Fees. It is important that clients understand these terms. Day and Other Fees Day fees have got three components that you need to be aware of namely the “Included in the Day fees” and the “Excluded from Day Fees” and Not Applicable (“NA”). Normally when fees are excluded from Day fees the Safari operator/Outfitter should let you know what these costs involve (These costs are normally referred to as “Other Costs”). Make sure you compare apples with apples when looking at a day fee comparison. A guideline is to make a 1 page summary of each booking estimate so that you can view at a glance what is included and what not.